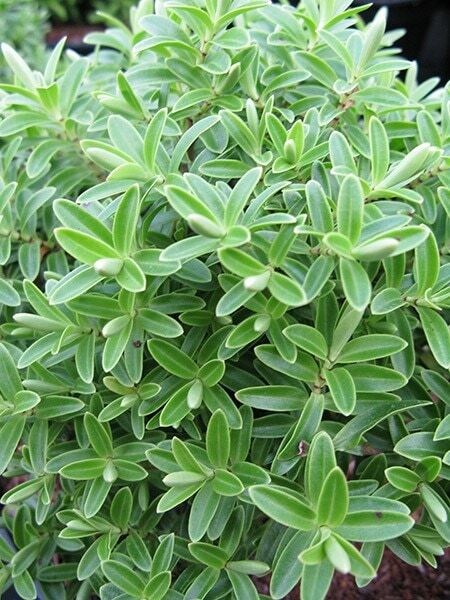 One of the most popular hebes, this has clusters of large, white flowers in early and mid-summer and glossy, fresh, green leaves. 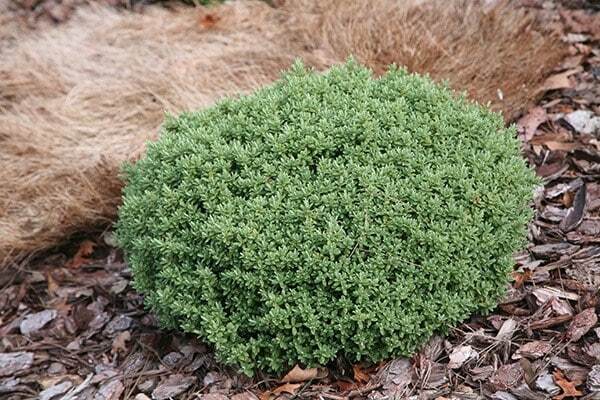 This tough, rounded, evergreen shrub forms a neat hummock, and will lend structure to a mixed border or oriental-style garden. 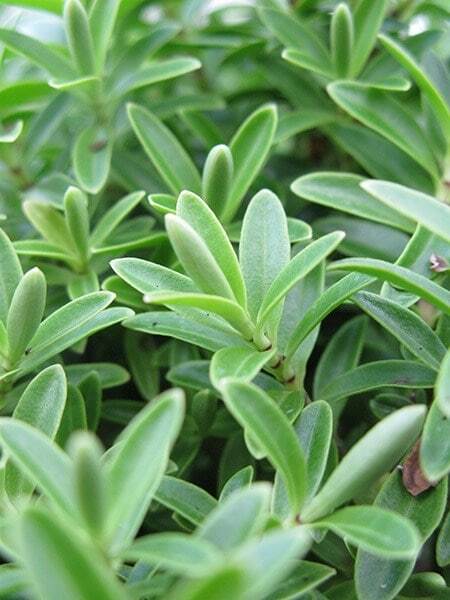 It is salt and pollution tolerant and is therefore suitable for city or coastal gardens. This Hebe I have had for about three years, while beautiful, strong and very winter hardy, I have yet to see any of it's flowers. I do give it a little liquid seaweed in the spring maybe this is the reason it does not flower. It has reached it's full height and width and is a lovely round shape, I have it in a large container as I think Hebe's look there best and stand out more if planted in one, they become a real show stopper. I have just bought another Hebe in a different coulour, same size. I am a real fan of these plants just because they are so easy to grow and so beautiful. Just wish I could get it to flower. If you're an orderly garden freak like me you'll love this plant. Keeps a very neat mounded shape and needs zero maintenance. This is my "go to" hebe to give form in a border. 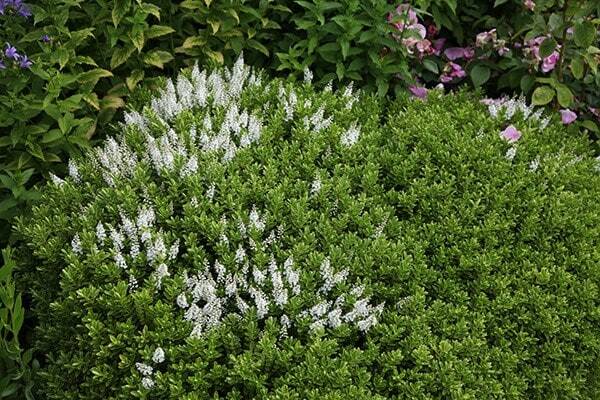 I use this hebe to give the similar effect as box balls without the trimming or box blight risk. It gives good form and shape to the garden all year round and always looks full of vigour. I keep coming back to this plant as I plant up a new area. I bought three of these to complement box balls in an adjacent bed. Equally spaced and interspaced with hostas they are elegant and attractive. Very easy to care for and keep in shape. Delicate white flowers. Very healthy plants which have flourished. I shall be adding more to my planting schemes. I would like to order this product again soon. Very happy and pleased with the quality and packaging! Looking very attractive in my front walkway. Hi, could you give me an idea of how long it would take to reach full size? Thank you. It really depends on the growing conditions, but as a very general guide, I would say anywhere between 5 - 10 years. We have had this plant for two years and it hasn't flowered yet. Any suggestions? Hello, The most likely cause is a lack of sun, so cut back overhanging foliage if you can and make sure it is kept well watered. It will also help if you feed it with sulphate of potash in spring.